Virat Kohli said he did not feel the necessity to explain the selector's decision to leave out MS Dhoni from T20Is when he was asked to do so during his interaction with the press after the fifth ODI between India and the West Indies on Thursday. India captain Virat Kohli conceded that people were putting too many variables on MS Dhoni's future after the veteran was dropped from the T20I squads for upcoming series against the West Indies and Australia. Kohli insisted that Dhoni still remains a key member of the ODI setup and that senior national selection committee spoke to the veteran wicketkeeper before replacing him with 21-year-old Rishabh Pant in the shortest format of the game. The skipper refused to shed more light on the selector's decision but insisted Dhoni saw it as an opportunity to let young Pant have more chances in T20Is. "I think the selectors have already addressed if I am not wrong about this [Dhoni's ouster from T20Is]. Firstly, he has been spoken to [about the decision]. I don't see any reason why I should be sitting here and explaining. The selector has come out and spoken and it's what the selector explained," Kohli told the press in Thiruvananthapuram on Thursday after India completed a series win over the West Indies with a nine-wicket thrashing in the fifth ODI. "I think people are putting too many variables into this situation, which is not the case and I can assure you that. he is still an integral part of the ODI team and I can assure you that. He just feels someone like Rishabh Pant will get more chances. He always plays ODIs for us regularly. From that point of view, he is just trying to help a youngster. "It's got nothing to do with anything that other people are thinking. I, as captain, can certainly assure you of that." 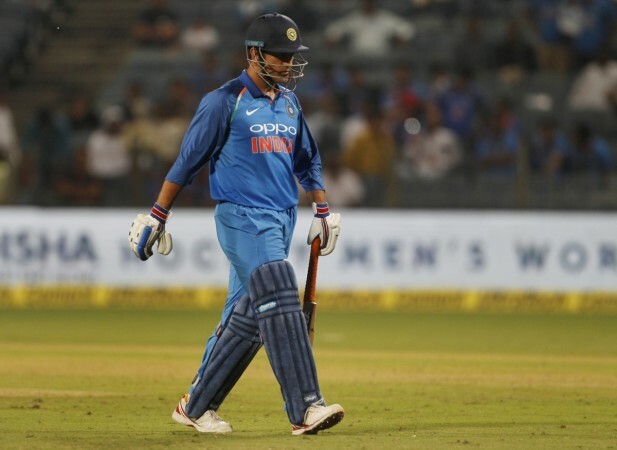 Notably, the chairman of the senior national selection committee, MSK Prasad had said the decision to drop Dhoni from the T20I side was taken, keeping in mind the need to try out backup wicket-keepers. Prasad also did not rule out the possibility of bringing the veteran back into the setup even as multiple news reports hinted at the end of the World T20 winner's career in the shortest format of the game. Can Dhoni repay the team management's faith in him? With only a handful of matches remaining before next year's Cricket World Cup, the much-talked-about T20I axing only fueled the concerns over Dhoni's lack of match practice. The Jharkhand hero, who will not be seen in India colours until January, has been choosy about his domestic appearances and it remains to be seen if he will opt to play in the recently-commenced Ranji Trophy season. A section of social media was abuzz with rumours that Dhoni would retire after the fifth ODI between India and the West Indies but captain Kohli's comments should come as a huge relief to the fans of the former World Cup-winning captain. Dhoni needs to considerably improve his performances with the bat as he has scored just 275 runs from 20 matches at a below-par average of 25.00. His strike rate — an underwhelming 71.42 — has been a huge cause of concern for Team India as the 37-year-old is struggling to get going, especially in the back end of the innings when India are looking for strong finishes. Nonetheless, Dhoni continues to get the backing of the captain, the team management as well as former cricketers. Only recently, batting great Sunil Gavaskar said Dhoni's presence is an absolute must for India at the 2019 World Cup, citing the experience factor he brings in to the team. Gavaskar pointed out that Dhoni takes a huge amount of pressure off Kohli by helping the captain with field placements and the way he guides youngsters, especially the bowlers in the team.